On my recent trip to Seattle I had to stop by the famous Top Pot Doughnuts. If you’ve seen the food channel then you know exactly what I’m talking about. There are three locations in Seattle and their legend is growing much further than the Pacific Northwest. President Obama has been there and the Doughnut and coffee shop has been featured on several different programs. Their gourmet doughnuts are cooked the old-fashioned way by hand and their flavors are unique which gives them quite a following. 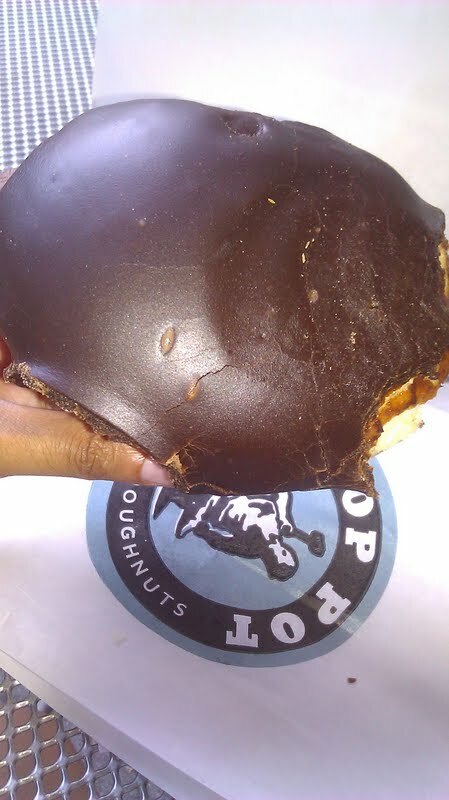 I opted for the ‘Bavarian Creme’ donut (featured above) which must have been about 1000 calories. The chocolate on the outside was half an inch think and the dough was soft and cakey. The creme inside was absolutely delicious. I can’t necessarily say it was any better than Krispy Kreme though. I don’t like super thick bread on my donuts. I prefer a thinner flakier breading. I bought a second one to take with me for later but I ended up giving it to a homeless woman that was hungry (that’s Seattle for you). If you are ever in Seattle, Top Pot is definitely worth trying for yourself. 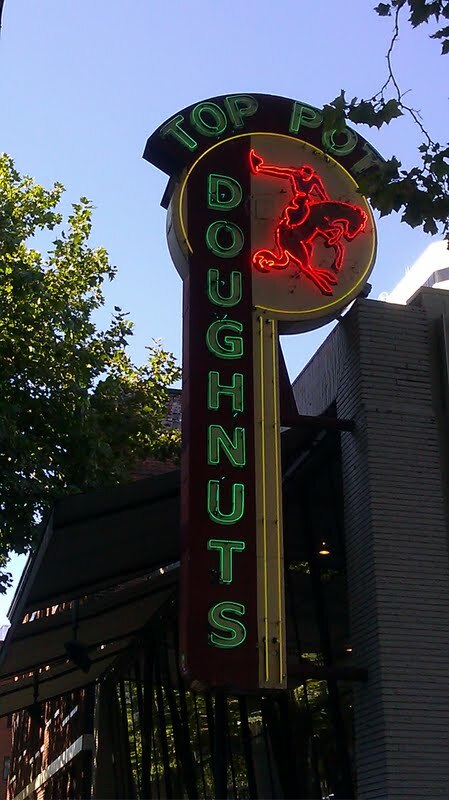 The donut was still pretty top notch and there is a location just 3 blocks from Pike’s Place.